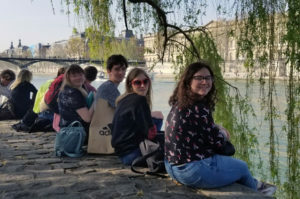 By INDIA KRUG – On March 19, a bus holding fourteen members of the IHS French Department took their first steps to reuniting with their exchange students on the other side of the world. Passports in hand, they anticipated the two flights that stood between Indiana and Vannes. 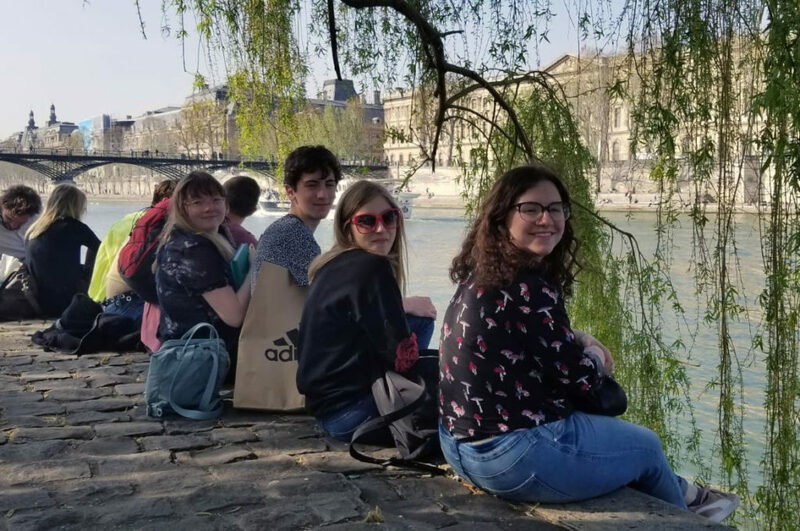 The group, led by French teacher and exchange trip veteran and French teacher Jim Dykun, included a female chaperone and student from United High School. Students from grades tenth through twelfth were given the opportunity of a lifetime to expand their worldview and test their sense of adventure by practicing a new language. The trip occurred after the arrival of students from Lycée St. Paul last year. Now the American component of each pairing had the chance to stay with their French friend and family in Vannes– a town located in Brittany, France. 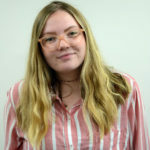 Over the course of two weeks, the students grew accustomed to life in Vannes through attending classes and going on excursions outside of the city. One field trip was to Mont St. Michel, an island off the coast of Normandy, that contained a historic abbey. Another was to the cliffs of Quiberon and the megaliths of Carnac. It could be argued that the most noteworthy lessons were not the ones lectured by professors, but the family dinners, trips to the market, and conversations in cafes. Students, French and American alike, were intertwined in a community that was dependent on compassion to allow one another to grow. Upon an emotional departure from Vannes, the group traveled to Paris, where they would explore and learn for five days. The itinerary included the Eiffel Tower, Louvre, Notre Dame, Catacombs, and much more. Aside from seeing the breathtaking sights, students also had time to connect with the city. Despite the jetlag, students can recognize just how lucky they were to partake in this experience. Many are already making plans to visit their ¨famille Francais” again in the future.